Green Bay Family dentist, Dr. Marty Williams provides a full range of dentistry services for the entire family, from young children to great-great grandparents. We’re committed to providing a friendly and comfortable environment for all of our patients. 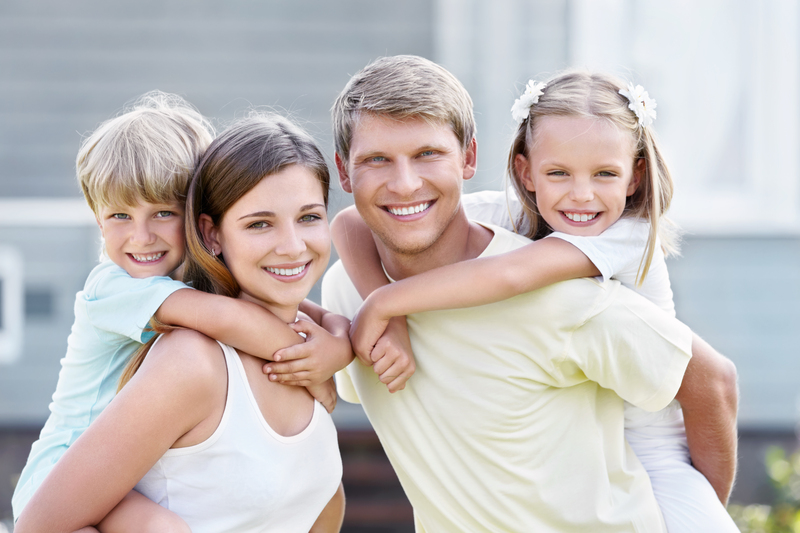 Our comprehensive family-focused dental treatments emphasize preventive care as well as gentle dental solutions to any oral issues that may arise. Our goal is to provide your family with the best oral care possible, so you can smile your best, most healthy smile with confidence. Dr. Williams and our caring team welcome all ages into our Green Bay office and we encourage parents to make their first children’s appointments once they start getting teeth. In our office, children are taught the importance of proper oral hygiene, including regular brushing and flossing, but also the importance of healthy diet choices. We want our youngest patients to grow up with healthy teeth and gums. Dental appointments for children are important, but they can also be fun! We tell jokes and give prizes to all of our little patients. Many of our pediatric services can be provided drill and shot-free thanks to the latest dental technology. However, if local anesthetic is called for, we are known to be extremely gentle. We also provide fluoride treatments and sealants to further protect your children’s teeth. Our office offers emergency dental services. Whether your dental emergency is due to an accidental dental trauma or severe toothache – we are here for you! Please contact us if you are experiencing a dental emergency. If you’re looking for a cheerful and friendly family dentist in Green Bay, please give us a call. If you are already a patient, we look forward to seeing you again! Don’t delay and make your family a dental appointment with us today!